When Chromebooks were first launched in 2011, few would have expected them to become as ubiquitous as they are today. 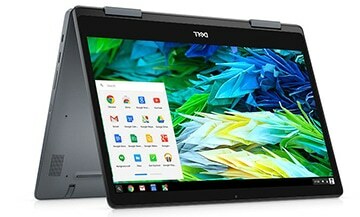 These extremely mobile laptops run a unique ChromeOS operating system that offers a terrific response time by hosting most of your documents and applications on the cloud. With time, they have developed an excellent reputation for flexibility, ease of use, and portability—a mix that suits contemporary lifestyles to a T. But if you thought Chromebooks are really too budget-conscious a purchase to feature a “fancy” feature like a backlit keyboard, you would be mistaken. 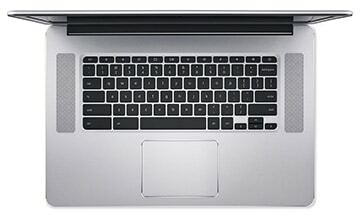 As of 2019, most leading laptop manufacturers including ASUS, Acer, Dell, HP, and Samsung have come up with Chromebooks that offer backlit keyboards. The convenience that a backlit keyboard offers, letting you work in all kinds of ambient lighting, doubles the utility of a Chromebook. Now, you can use these powerhouse machines in lowly lit cafes, when the electricity goes off, from a camp in the wilderness, you name it! Some Chromebooks go even further by not only providing a light-up keyboard but also endowing it with ergonomic and utility provisions like spacious trackpads, anti-spill panels, digital assistants, and enhanced accuracy. A glamorous feature that many still associate only with premium, gaming laptops is now available in the versatile Chromebook—how cool is that? So, which are the best Chromebook with backlit keyboard 2019 that can light up your life, quite literally? Who Should Consider Buying a Backlit Keyboard Chromebook? If you are a young professional or a student: A Chromebook, we daresay, was designed for you. It is agile, hardworking, tailored for functioning on the run, and is basically a full-time companion you can majorly benefit from. If you are a passionate traveler: Chromebooks travel well. They are usually light and sleek, easily slipping into backpacks and not bringing down your luggage with extra weight. They can function as handy devices to stay entertained on vacation or be updated with your e-mail (looking at you, workaholic millennial). If you are hunting for a computer that does day-to-day tasks: Considering their processing set-up, Chromebooks are good for everyday activities like checking e-mail, browsing the internet, working on documents or work presentations, watching a movie, and the like. They are also ideal options for home purposes (think a video-device for children or your kitchen countertop). 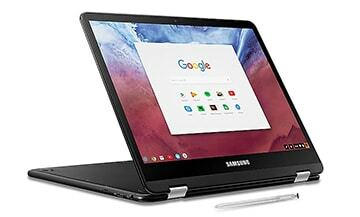 If you are strictly watching your budget: Most Chromebooks will set you back by about $450 to $900. They are a smart purchase option if you need a basic laptop that doesn’t cost the moon. If you are undecided between getting a tablet and a laptop: A Chromebook is the closest thing to being a hybrid between a tablet and a laptop. It is as fast as your mobile phone but as versatile as a full-purpose computer. Long-lasting battery life: This one is a must since you are investing in a laptop that prioritizes portability. What good will it be to own a mobile laptop that runs out of juice within a couple of hours and needs you to haunt a power supply station constantly? Look for Chromebooks that offer at least 8–10 hours of backup. Some even offer 13 hours and more. Lightweight chassis and thin profile: Most competent Chromebooks worth their salt weigh about 2.5lbs–5lbs and are 0.5–1” inches thick. Don’t fall for a model that is too unwieldy and heavy as that would defeat the purpose of owning a machine you can lug along wherever you go. Additional, delightful features: Some Chromebooks also offer you handy/premium features like digital assistants, a 4K display, and screens you can lay out flat (say, for presenting a deck to colleagues). Depending on what appeals to your needs and lifestyle, you can browse through the assortment and take your pick. Be warned that paying too much of a premium for such features might not be a wise idea since Chromebooks, by their very essence, are committed to affordable, mobile computing. 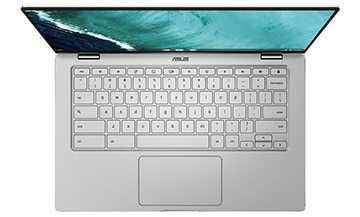 The latest from ASUS’s fantastic line-up of Chromebooks is the ASUS Chromebook Flip C434TA—a 14” laptop with an Intel Core i7 CPU, 8GB RAM, 128GB of memory, and a full-purpose keyboard with enhanced precision and backlighting. The keyboard is equipped with an ergonomic hinge (360-degree) that not only elevates your typing experience but also boosts the cooling and the auditory support of your machine. The key travel distance is 1.4mm which is comfortable for typing. One of the most captivating features of this Chromebook is the immersive, FHD (Full High Definition) display. The thin bezel (5mm or 0.19”) creates a screen-to-body ratio of 87% which means you can truly dive into your multimedia content. The display supports a full sRGB color gamut of 100% and wide-angle viewing up to 178-degrees. Further, the auditory support on this computer—dual stereo speakers and large resonant chambers—also lifts the A/V experience from passable to exemplary. The portable, lightweight build of this Chromebook comes as no surprise; ASUS has a knack for mastering this realm. This aluminum-chassis laptop has remarkably attractive diamond-cut edges that make it quite a style statement. It is amazingly light and thin at 1.45kg (3.19lbs) and 15.7mm (0.61”). Portability will never be a concern with this pick, for, in addition to the sturdy but light construction, you also get a long-lasting battery that serves you for 10 hours. There are two USB Type-C ports for everything including data transfer, charging, and connecting to external displays. You can get on to the internet using the 802.11ac Wi-Fi (dual-band). ASUS is yet to announce the price of its newest offering. But given the features it brings to the table, it looks set to head the list of Chromebooks with backlit keyboards in 2019, just like it leads ours. Another popular Chromebook by ASUS that genuinely deserves the love it gets is the ASUS Chromebook Flip C302CA. A 12.5” laptop with a featherlight weight of 2.65lbs and a thickness of 0.5”, this Chromebook has a full-purpose backlit keyboard (chiclet) with a 1.4mm key-travel distance. The keyboard has a spacious touchpad and also offers palm rejection. Both turn out to be incredibly handy when you are working on the run (and making keyboard movements you never intended to). This is among the cheapest Chromebooks with backlit keyboard, so your wallet will be as happy with the purchase as you are. On the processing front, the numbers are somewhat bleak with an Intel Core_m processor, 4GB RAM, and 64GB of storage. But the processor with a speed of 2.2GHz turns out to be satisfactory for standard tasks, especially considering the sub-$500 price point of this laptop. Also, the low memory is complemented by 100GB of free space on Google Drive. The battery, thankfully, lasts for ten hours. Even though this is a budget buy, the display is vivid and pleasant. The screen is FHD and has an anti-glare panel for viewing comfort. Since the display is snugly protected by Corning Gorilla Glass, you can rest assured that it won’t get scratched while you aren’t looking. This Chromebook comes with a hinge that allows you to use it in multiple modes—tablet, laptop, tent and stand. This changeable design makes it a good fit especially for travelers (and those who need to travel extensively for work). If you are hunting for an affordable Chromebook that has a backlit keyboard and decent specs to get you through an average day, this one nicely fits the bill. If you possess a smartphone, you are probably familiar with Google Assistant. It is the friendly little digital assistant that answers all your queries about the weather, helps you with e-mail, and is willing to do more. 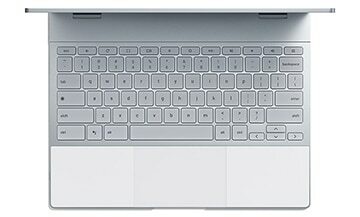 With the new Google Pixelbook, you can enjoy the convenience of Google Assistant in your laptop—all through a button on the backlit keyboard. Equipped with an Intel i5 CPU, 8GB RAM, and 128GB of memory, this 12.3” computer is competent at handling all day-to-day tasks. The battery backup is satisfactory at ten hours; it also charges rapidly to provide you with additional autonomy. For example, you can get up to two hours of operation in only 15 minutes of charging. This computer comes with a touchscreen display that has a maximum resolution of 2400 x 1600. It is protected from scratches and damage by Corning Gorilla Glass. A digital pen, apart from assisting you with note-taking and doodling, also makes it easy to access the Google Assistant. All you have to do is circle the text or image you need help with, and your laptop will magically attend to your concerns. Easy peasy! Design-wise, the Pixelbook is equal parts portable and potent. With a weight of 2.45lbs, a profile that measures 0.4”, and a stylish aluminum body, it is extremely mobile. You can use the laptop in multiple modes (tablet, tent, entertainment) which further boosts comfort. There are USB ports (two USB 3.0 ports) and Wi-Fi (802.11 b/g/n) to keep you connected at all times. Google Pixelbook can be an excellent choice if you need a Chromebook that replicates the comfort of your phone while offering the full power of a laptop. You wouldn’t believe the number of features the gorgeous Lenovo Yoga Chromebook 2-in-1 ​packs inside its chassis. Sample this: a 4K UHD display with a bezel so thin that it looks almost edge-less, an Intel i5 processor for speedy performance, ten-hour battery life, and a white-backlit keyboard with a large trackpad. You get the standard 8GB RAM and 128GB of storage space, but you can also avail of 100GB extra space on Google Drive. The cloud storage is convenient for bulky files that take up too much disk space. These features are in addition to the intrinsically cool offerings of the ChromeOS—anti-virus protection, ever-ready access to your favorite applications, and automatic updates. Security, you can rest assured, is something that this laptop holds close to its heart. The 15.6” Yoga Chromebook has an FHD touchscreen with an IPS panel for maximum viewing comfort. It also has an anti-glare feature to minimize eye strain after seemingly endless hours of work. You can choose up to 4K resolution for unprecedented brilliance in colors and details, especially for a laptop that prioritizes portable use. The overall design remains mobile—the laptop weighs 4.2lbs and is 0.70” thick. A special word for the midnight blue exterior—it looks positively divine. Sureshot eye-candy! Staying connected is no problem with the two USB-C ports, a USB 3.0 port, and a 720p webcam. The laptop also supports Intel 7265 AC Wi-Fi (2×2) and Bluetooth 4.1. The Yoga series by Lenovo looks set to take the marketplace by storm with its lightweight yet durable design, beautiful display, and ample options for collaboration and connectivity. It is a worthy pick not only if you need a backlit-keyboard Chromebook but also if you are pining for a future-ready convertible. When Dell started out, it was the go-to choice for students and young professionals. This choice didn’t emanate only from a cost-effective price point but also the kind of dependability none could rival. The latest Inspiron Chromebook 14 7486 2-in-1​ is a 14” laptop that combines this quintessential dependability with modern features like a thin bezel display, a digital pen, and a backlit keyboard that lets you trudge along even in lowly lit settings. The keyboard has been extensively tested to support contemporary use (read continuous use! ); the keys support 5,000,000 clicks without any hassle. Driven by an Intel i3 processor, 4GB RAM, and 128GB of memory, this computer can run unplugged for ten hours. How is the display? Well, you get an FHD screen with an IPS panel and a wide-angle view. This is pleasant enough for multimedia experiences such as unwinding to a favorite movie after a hard day at work. Since the display is touch-based, you can use a digital pen as you please. The pen is particularly impressive in how it doesn’t even need to be charged. With this launch, Dell has shown a serious commitment to design. 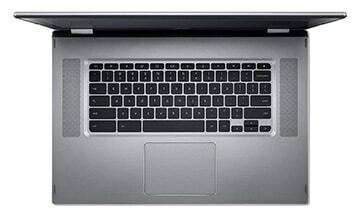 This compact laptop (0.7”) has a good-looking aluminum exterior that weighs less than 4lbs (3.99lbs). The construction is such that the computer can handle extreme conditions without complaint. No kidding, but the computer has actually been tested to operate from -40°C up to 65°C! Note that this Inspiron has two built-in USB Type-C ports, a USB 3.1 port, and a microSD card reader to allow you to plug into any peripherals or accessories you may need. It is one of those quiet performers who say very little but get a whole lot done. If long-lasting battery is your top priority, you needn’t look any further. The HP Chromebook x360 14-da0021nr is a fantastic 14” Chromebook that supports 13 hours and 30 minutes of operation on a single charge! This is splendid even for portable laptops, and easily the maximum on our list. This laptop is driven by an Intel i3 CPU and is fitted with 8GB RAM and 64GB of storage. Along with a full-purpose backlit keyboard (island style), it is also equipped with an HP Wide Vision camera and dual speakers by B&O (Bang and Olufsen). The touch display on this HP Chromebook is vivid and satisfying. An FHD screen with an IPS panel, protected by edge-to-edge glass, does complete justice to your A/V content. The graphics supported here, like most Chromebooks in this league, is Intel UHD Graphics 620. If the display is pleasant, so is the exterior. This Chromebook, styled very distinctively in a ceramic-like finish, weighs about 3.7lbs and measures 0.63”. This is super-light and thin and makes the machine highly portable. You can carry it with you to meetings, school, and on travels. Aiding device connectivity on this machine are abundant USB ports—two USB 3.1 Type-C ports, two USB 3.1 Gen 1 ports—and a microSD card reader. It also supports Intel 802.11b/g/n/ac Wi-Fi and Bluetooth 4.2. 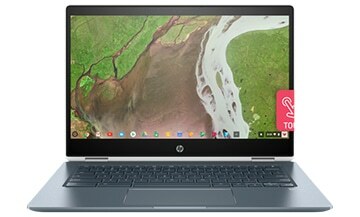 HP has a sound reputation for coming up with reliable, long-lasting laptops, and this Chromebook joins an esteemed league of sustainable but powerful computers. It can be just right for you if you need an all-purpose laptop that travels well and provides good multimedia support. 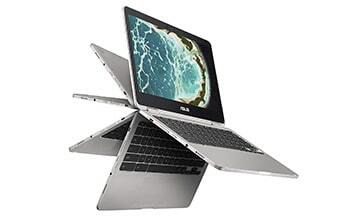 This one is for all those who need a large Chromebook (15.6”) but want to watch the dollars. The Acer Chromebook Spin 15 CP315-1H-P4VG is a multipurpose laptop that can become exactly what you need it to be—notebook, stand, tablet, or tent. Thanks to a 360-degree hinge, it has a brilliantly adaptable design that suits a variety of purposes from work computer and student companion to an entertainment platform. The keyboard is precise and sleek; the Corning Gorilla Glass touchpad is precise at registering movements like swiping or zooming. Run by an Intel Pentium N4200 processor, 4GB RAM, and 64GB of memory, this Chromebook is handy at completing everyday tasks. Bonus: The battery lasts for 13 hours which is much more than many contemporaries, barring #6. Rarely, if ever, does Acer compromise on display and sound. Even in this temptingly priced laptop, Acer has ensured an FHD touchscreen, an IPS panel, and dual speakers (upward-facing). The screen supports wide-angle viewing (88°) which adds to your convenience. So, even when you are using the HDR Webcam to keep in touch with colleagues or peers, you can be comfortable without risking a loss of detail. Build-wise, this machine manages to hit the sub-5lbs mark; it weighs 4.63lbs. This is heavier than some of the other Chromebooks on this list but light enough for a 15.6” machine. The thickness is 0.79”—not too thick to let the laptop slide into backpacks. It is rare to find a 15.6” laptop that delivers so much in that bargain of a price-tag. 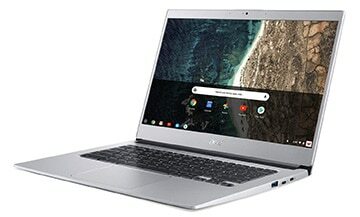 You won’t be disappointed with this Chromebook if you need an intelligent machine that caters to all your daily needs while also endeavoring to create pleasant multimedia experiences and keeping you connected to the world. In a list of the best Chromebooks—portable laptops that over-perform for their price—how can Samsung be left in the lurch? The Samsung Chromebook Pro XE510C25-K01US is a 12.3” laptop that delivers on every front Samsung is renowned for—mobility, style, and convenience. Fired by an Intel Core m3 processor, 4GB RAM, and 32GB of memory, this laptop is surprisingly good not only at running regular activities but also some advanced software (including video editing and a few 3D games). The screen can be rotated up to 360-degrees, which means you have a laptop, a tablet, and everything in between rolled into one. As for the keyboard, it is a full-size model with backlighting and a trackpad. This Samsung Chromebook features a touchscreen display and offers a glorious Quad HD resolution. The aspect ratio is 3:2. Since the display supports wide-angle viewing, you can be comfortable from various viewing positions (including that laidback position on your couch). It helps that the display is made of Gorilla Glass 3—a design win that makes the screen look good and remain damage-free. Note that the purchase comes with a built-in digital pen. Not surprisingly, this Chromebook is an easy traveler. It weighs only 2.4lbs—the lightest on this list. Its profile measures 0.55” which is, again, among the thinnest on this list. The battery life lasts for about nine hours which is ample to fuel your workday and then some. Note that this laptop comes built with two USB-C ports, a microSD card reader, and a 720p HD webcam. Get this Chromebook home to embrace the kind of portability and responsiveness you only thought possible with a smartphone. You won’t—quite literally—feel a thing. A 14” Chromebook with an Intel Celeron N3350 processor, an FHD screen, and a backlit keyboard at a sub-$350 price—sounds too good to be true? Well, thanks to the Acer Chromebook 514 CB514-1H-C47X, this is now achievable. 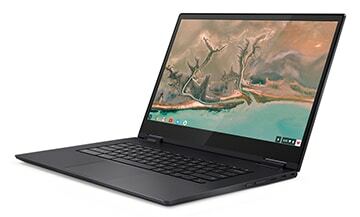 With this laptop, you would be getting home a competent computer that runs ChromeOS and provides the responsiveness and speed you need in day-to-day life, all through 2 million Android apps at your disposal. You would also be acquiring a widescreen, narrow bezel display with an IPS panel that makes for cozy, immersive A/V sessions. Acer has, unquestionably, prioritized value-for-money with this product. Right from its durable aluminum chassis to its HDR webcam with exceptional clarity, this computer delivers. The CPU is adept at completing all basic tasks; the operating system ensures rapid booting, virus protection, and reassuring security. The battery, notably, lasts for almost 12 hours. This laptop is lightly yet sturdily built. The thoughtful construction ensures a weight that’s barely above 3lbs (3.09lbs) and a thickness of 0.7”. There are plentiful USB ports to keep you going as well—a total of four USB 3.0 ports—so you can connect to anything you need on the go. To this Chromebook’s merit, the backlit keyboard doesn’t give away the budget nature of the purchase. The keyboard is smooth and classy, complete with a Corning Gorilla Glass touchpad that registers your movements with improved precision. The touchpad not only feels comfier than its plastic counterpart but also tends to last longer. Here’s the perfect match for anyone looking to acquire a powerful Chromebook with standout features like a backlit keyboard and an HDR webcam—on the cheap. The final Chromebook on our list is also the cheapest—yes, we saved it for the end as a treat. Welcome to the world of the Acer Chromebook 15 CB515-1HT-P39B—a 15.6” world that derives its power from an Intel Pentium N4200 CPU and proceeds to deliver a convenient, portable computing experience. This super-cheap Chromebook also offers—surprise, surprise—an FHD touch display with an IPS panel. Combined with upward-facing speakers, this lets you immerse yourself in multimedia experiences and basically anything that transpires on the screen. You can keep working unperturbed in variable ambient lighting with the backlit keyboard. For all its cost-effectiveness, this laptop doesn’t skimp on too much. It is equipped with an HDR webcam with wide-angle viewing (88°). With this camera, you can communicate with people from a position that suits you, even if that position involves lazing about on a bean bag in your living room. You can bend the screen back to 180-degrees to instantly get a presentation-friendly display. Further, you also get two USB Type-C ports, one USB 3.1 Gen 1 port, and two USB 3.0 ports for collaboration, peripherals, and data sharing. How does this laptop look? No, it doesn’t resemble anything “bargain” with its aluminum body, hairline-brush finish, and symmetrically rounded corners. It weighs 3.97lbs and measures 0.75”—a decent, travel-friendly configuration for a 15.6” Chromebook. Trust Acer to create something that caters to multiple audiences, doesn’t cost a bomb, and understands modern requirements like the back of its hand. It might be cheap, but this Chromebook is quite an all-rounder purchase if you aspire to own a dependable, versatile, and easy-to-lug-along laptop. Not so many years ago, market watchers might have been surprised to see Chromebooks with a premium feature like a backlit keyboard. But with technology growing at breakneck speeds and competitors vying with each other for the next big-ticket-item, many Chromebooks now offer keyboards with backlighting. It will probably be a while before you can expect Chromebook keyboards that also let you customize the lighting or have automatic light sensors to suit variable needs. But then, at prices as attractive as those on this list, and CPU and display configurations well suited to most daily pursuits, that is hardly an impediment. One final tip: When you are out buying your ideal computing mate, let your mind rule over your heart. Be guided by your budget, needs, and priorities, and you will land up with the deal of your dreams.